Why did I read this? I am trying to read the whole series to see how a new author handles the character with the newest book, The Survivor. Following close on the events in Extreme Measures, Mitch Rapp and Mike Nash are feeling the political pressure that is applied after an attack. Mitch is feeling it professionally and politically while Mike is feeling it in his personal life. While they are dealing with the fallout there are still three terrorist on the road in Middle America looking to continue with their attacks on citizens of the United States. Mitch and CIA director Irene Kennedy find a way to help Mike deal with his family problems and Mitch and Mike confront the terrorist directly and end the conflict inside one of the United States monuments in Washington, D.C.. Vince portrays a zealot’s mindset with one of the terrorist actions and how people’s motivations change sometimes. Grade A- a successfully written thriller that reflects some attitudes that exist today. Why did I read this? Because I enjoy the series and am trying to read them all in chronological order. Mitch Rapp and partner Mike Nash are before a Senate committee to answer for what some Senators see as their sins. Meanwhile there is a team of terrorist headed for Washington D.C., to wreak havoc on the Capitol. Mitch and Mike are officially taken off the case but work back channels to keep up with the case. There are all kinds of complications which cause havoc for the covert operatives. Things change after the terrorist carry out their plans and kill many people in D.C..
Grade A, exciting thriller with its root in our struggles in the middle east. Why did I read this? I am trying to read through the series before I read the newest in the series. 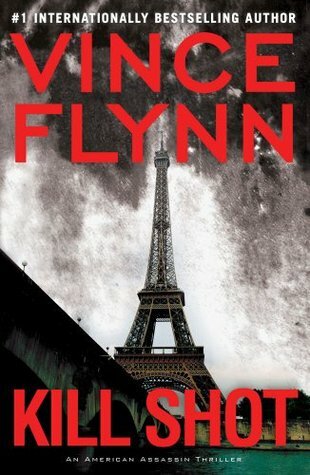 The newest book is written by one of the authors I really like, Kyle Mills, after Vince Flynn passed away a couple of years ago. The sitting President has decided not to run for re-election due to the onset of Parkinsons. During a campaign stop the front runners motorcade is bombed and several people are killed and scores are injured. A terrorist organization takes credit, the FBI runs their entire investigation ignoring testimony from the lead Secret Service agent. 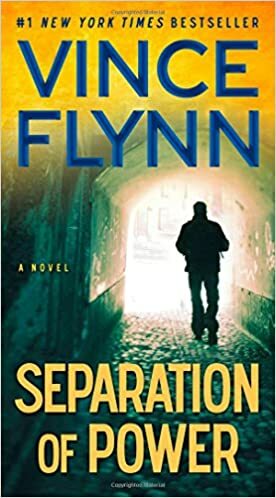 The CIA sends covert operative Mitch Rapp overseas to investigate and what he finds leads right back to the United States and a corrupt Washingtonian (is that an anti-oxymoron) official. Mitch is still reeling from the events of the previous books and the CIA is on the defensive because of the incoming administration. Grade A, an exciting action adventure thriller. Once again Mitch Rapp takes on the enemies of America, but this time he has been targeted and exposed by some in his own government. Mitch also has to deal with relationship problems in a romantic fashion. Mitch is being used as a political pawn by those who would seek to summit the mountain that is politics in the United States. Did I enjoy it? Yes it was an exciting action thriller, but at the same time it made me question several things. Why play by the rules if those opposing you don’t? Why work for some who would sell you out as soon as possible? The stories work on many levels. What is with the title of the review? At a couple of points there are people who think they are all powerful (much like the Wizard of Oz) put Mitch pulls aside the curtain and severs their connection to power. Mitch Rapp is continuing to target the terrorist responsible for the bombing of Pan Am flight 103. As he finishes a job in Paris he is attacked by five men who were waiting for him. It turns out they knew he was coming and are to make him responsible for the carnage that erupts at the hotel. Mitch must protect himself and his girlfriend while trying to figure out whom he can trust and who betrayed him. He doesn’t know who to trust and has to put in himself in some dangerous situations to clear his name. He is being targeted by the Paris police, the French CIA, terrorists and a couple of his own people. Mitch uses all the skills he has been taught and uses his wits to figure out who is chasing him and to save himself. Did I enjoy it? Yes, it is an exciting adventure and a nice beach book. What is with the title of the review? Most of the action takes place in the City of Lights.